This full-day guided tour provides an excellent overview of the city. 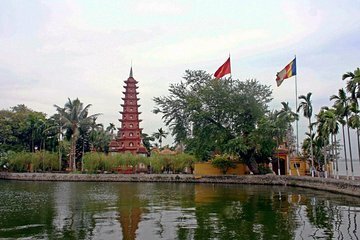 Visit important historical and cultural landmarks like the Ho Chi Minh Mausoleum, Hoan Kiem Lake, One Pillar Pagoda, and more. Take a cyclo ride through the Old Quarter. Lunch at a local restaurant (included) features traditional Vietnamese foods. A very disappointing day tour. Although our guide was enthusiastic and knowledgeable, his skill as a tour guide was inappropriate. Especially noted was lack of organisation - a 25 minute wait to see around the Mausoleum, which in the end was closed for the day! Taken to lunch with the locals for Bun Cha (ridiculous, dont mind tasting local food, but this was toooo basic) - ate as little as possible, but still affected my stomach immediately. Finished up back at Hotel at 1:30, when tour was supposed to end at 5:30. Feeling totally ripped off!!! Had our granddaughter with us - very disappointed for her, as it was to be the cultural tour during our stay. Great tour and personable and knowledgeable tour guide, Phoc. Driver was very efficient in getting around Hanoi and the whole tour was first class. This was a fantastic tour and an excellent way to get a taste of Hanoi.Our tour guide Thanh was awesome. He was very punctual in picking us up and making sure we were comfortable. His English was awesome and was a well seasoned experienced guide. We had an awesome day seeing so much wonderful history we may have missed trying to do this ourselves. He took us to a lovely restaurant for Lunch . Our guide also wanted to know if there was anything special we wanted to see which was away from the tourist areas. He was happy to take us thru the neighborhoods and local market areas where the local people live each day. That was such a highlight for us. I would highly recommended this company and especially our tour guide to anyone visiting Hanoi. If I could give him 10 stars I would. 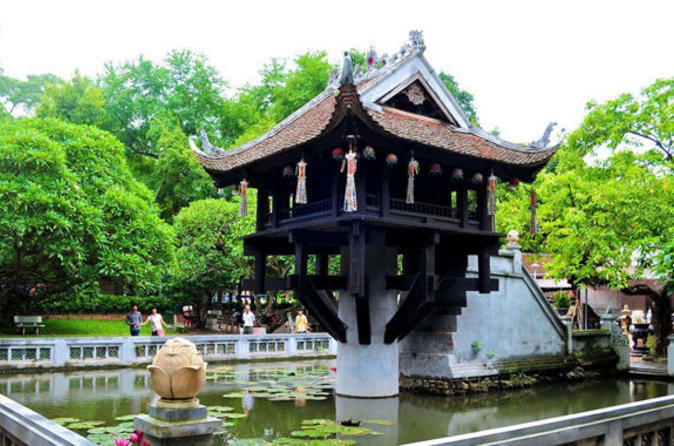 Great Private hanoi city tour with Delicious food and cultural experience.We spent a great day with our guide, Dragon, touring Hanoi and sampling many different Vietnamese dishes. Dragon picked us up at our hotel and quickly learned all of our names. He spoke great English and checked to determine if we had any food allergies. One person in our group does not eat gluten so he was very careful to make sure our friend had substitutes when needed and catered to his allergy well.Highly recommended this tour for anyone visit hanoi .